If you are one of the many consumers who wonder what the big deal is with ingesting high fructose corn syrup (HFCS), the latest scientific research from the University of Southern California (USC) and Oxford will help shed some light on the question. Researchers at the USC and Oxford have found a link between HFCS and an increased global prevalence of diabetes, one of the world's most serious chronic diseases. In fact, countries using high fructose corn syrup in their food supply have a 20 percent higher prevalence of type 2 diabetes. People suffering from type 2 diabetes have high blood glucose due to insulin resistance. If you are not familiar with the complications from type 2 diabetes, they include blindness, dementia, gum disease, cardiovascular disease, an increase in lower limb amputations and typically those with type 2 diabetes have a 10-year shorter life span than the general population. Although the exact cause of type 2 diabetes is not known, studies frequently attribute it to excess weight and lack of activity but this latest study reveals that HFCS’s association with the “significantly increased prevalence of diabetes” occurred independent of total sugar intake and obesity levels. The article, “High Fructose Corn Syrup and Diabetes Prevalence: A Global Perspective,” published in the journal Global Public Health, indicates that large amounts of HFCS found in national food supplies across the world may be one explanation for the rising global epidemic of type 2 diabetes and resulting higher health care costs. 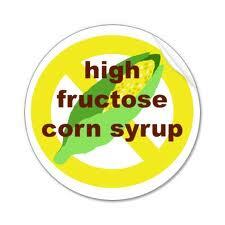 The U.S. is the single largest consumer of high fructose corn syrup. By the late 1990s HFCS made up 40 percent of all caloric sweeteners and was the predominant sweetener in soft drinks sold in the U.S. But Isn't Sugar the Same as HFCS? The article proposes that the diabetes, HFCS link is probably driven by higher amounts of fructose in foods and beverages made with HFCS. Fructose and glucose are both found in ordinary sugar (sucrose) in equal amounts, but HFCS has a greater proportion of fructose. The higher fructose content makes HFCS sweeter and provides processed foods with greater stability and better appearance because of the more consistent browning color when foods made with higher fructose are baked. Growing evidence reveals that the body metabolizes fructose differently from glucose. Article cited: Goran, M., Ulijaszek, S. and Ventura, E. (2012). High fructose corn syrup and diabetes prevalence: A global perspective. Global Public Health. Published online Nov. 27, 2012.